My Natural Face Scrub is one of a kind. Made with simple ingredients that will cleanse and exfoliate your face without any residue or dryness. Perfect for any type of skin. 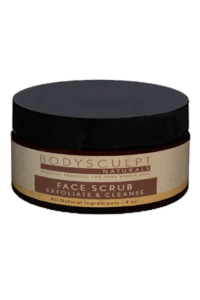 Made with the same Anti-Wrinkle Essential Oil Blend as BodySculpt Natural’s Face Moisturizer and Body Moisturizer. A small amount goes a long way. Micro-fine Pumice, Gentle Castile Soap, Jojoba Oil, Jojoba Wax Beads. With an Anti-Wrinkle Blend of Essential Oils (rosewood, geranium, rose bulgarian, neroli tunisian, rosemary, frankincense, myrrh, patchouli and clary sage). Use warm water to moisten face. Apply a small amount of scrub working in a circular motion, outward & upward. Do not apply the scrub to the eyelids. Rinse thoroughly & pat dry. For best results, use BodySculpt Natural’s Face Moisturizer to give yourself added moisture for a healthy radiant glow. Safe for all skin types. 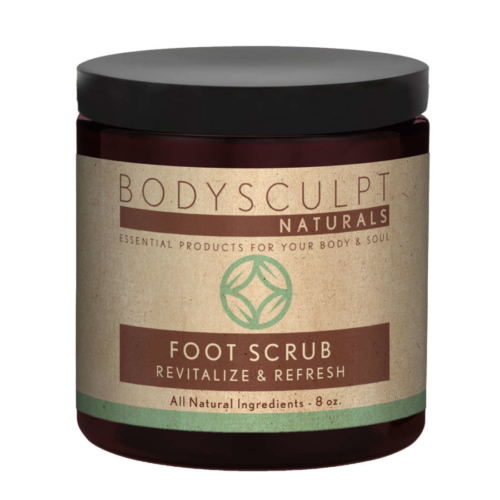 This is such a gentle scrub. I use it every evening. After use, my skin feels so refreshed and clean. The scent is relaxing and calming. I just love this product!